Colorado Springs Guitar Studio owner and guitar instructor Steve Langemo is a versatile electric and acoustic guitarist with a diverse background in jazz, rock, blues, funk, fusion, metal, pop, and classical music. Steve began taking private guitar lessons as a beginner at age 12 and was working as a professional guitar player by his late teens. He went on to earn a Bachelor’s Degree in Guitar Performance from Moorhead State University, and a Master’s Degree in Jazz Guitar Performance from Bowling Green State University, where he studied jazz guitar with Chris Buzelli and classical guitar with Dr. Matthew Ardizzone. As a guitar teacher, Steve has been a member of the guitar faculty of Minnesota State University Moorhead and Sinclair Community College, as well as establishing his own successful guitar lesson studios in Dayton, Ohio and Seattle, Washington. In addition to guitar instruction and electric bass instruction, Steve has taught academic college music courses and has supervised music history and music technology curriculum development at Sinclair Community College. 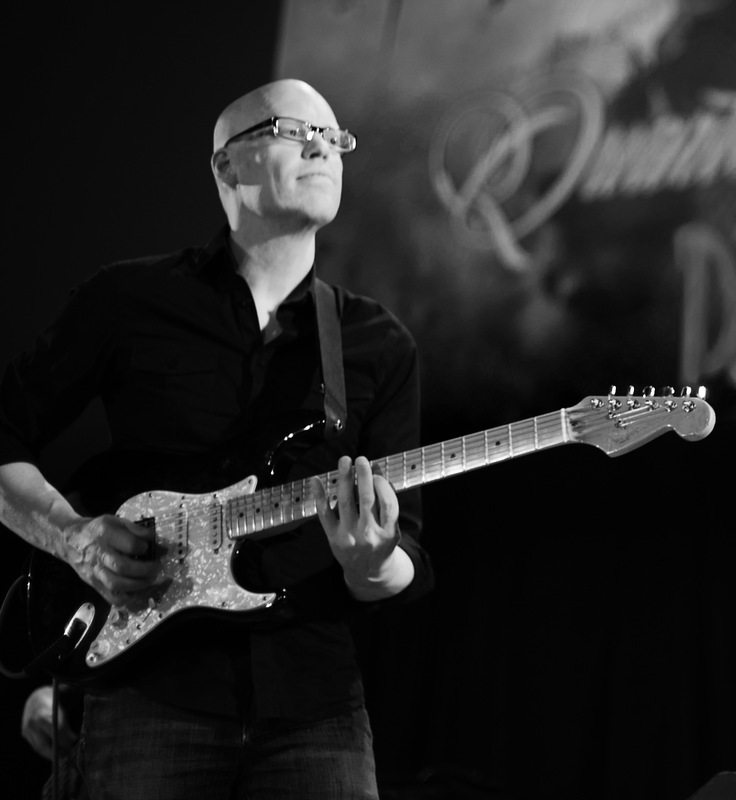 As a guitar player, Steve has worked professionally in a wide range of musical styles ranging from blues trios, classic rock and heavy metal groups, horn-based funk bands, big band jazz groups, jazz trios and quartets, jazz fusion groups, and even a 10-piece Steely Dan tribute band. In 2009 his solo jazz and fusion CD Out Loud caught the attention of Guitar Player Magazine and earned him a slot in their Guitar Superstar competition for undiscovered talent. Steve has also worked extensively as a pit orchestra musician for over fifty professional musical theatre productions and as a studio guitarist and bassist for recording session work. 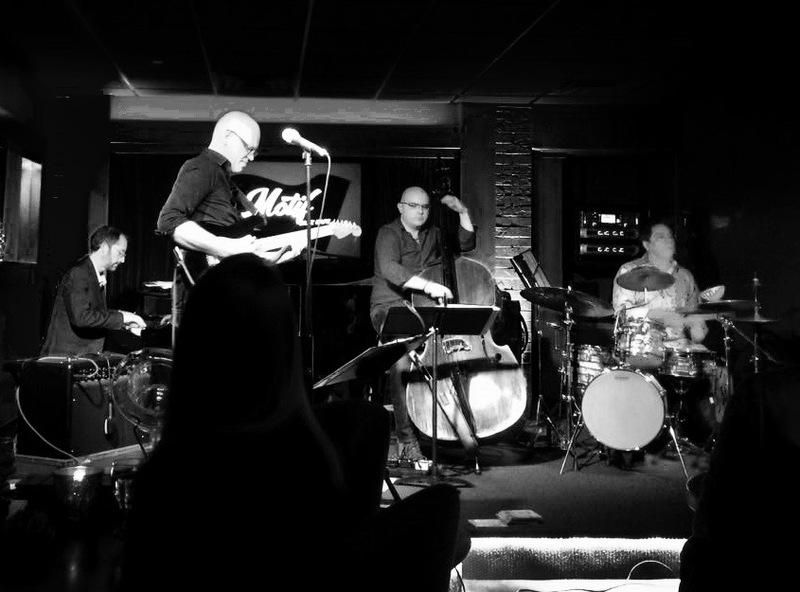 Steve currently performs live with the popular Denver-based corporate event band THE RADIO, plays guitar for various local jazz groups, and is working on his next CD of original jazz and fusion material. Steve’s metal lead guitar talents were recently tapped by underground ’80’s heavy metal band Titan Force for all of their 2015 European tour dates and will be heading a major European metal festival with the band in early 2018. Steve is also a key member of a jazz fusion group led by bassist Colin Trusedell, and his jazz fusion and progressive rock guitar playing is featured prominently on their 2014 CD release Quartet of Jazz Death and their 2016 CD Quartet of Jazz Death Volume 2. Both CD projects were met with positive reviews in both national and international jazz and bass publications, and Volume 2 was nominated for a Grammy in 2016 in the category of Contemporary Jazz.